Wake Hydrofoil - Wake Foiling ~ Come fly with us. This season is your chance to discover an all new way of getting your adrenalin pumping behind the boat! Wakefoiling is an experience like no other and no matter what type of riding you do or what kind of boat you have you will be able to fly like never before. 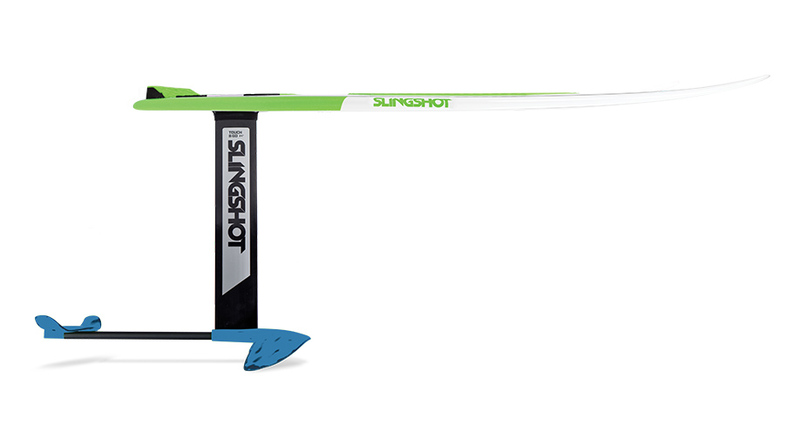 The Slingshot Wakefoiler Package is the gateway to learn the skills you need to fly effortlessly above the water like an eagle soaring through the sky. Everyone wants to fly, imagine being able to float, silently over the lake with the boat you already have. Hydrofoil technology has come a long way since the days of the Air Chair and Sky Ski. A new era in foilboarding is currently transforming all watersports, including surfing, windsurfing, kiteboarding and stand up paddle boarding. Riders can now experience the ‘joy of flight’ with these new and innovative hydrofoiling products. 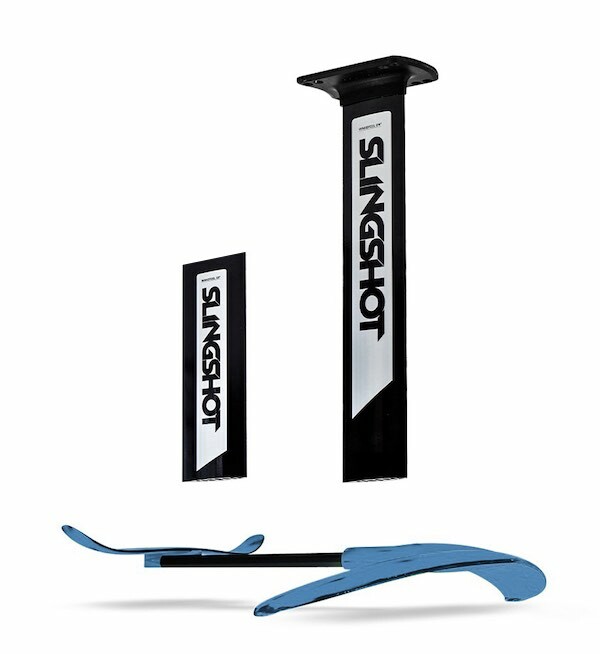 Slingshot is the FIRST company to offer a complete wake foil system designed to let you learn your basic flying skills in a step-by-step, safe and efficient manner. Once your basic skills are developed, you will be able to expand what is possible behind the boat. 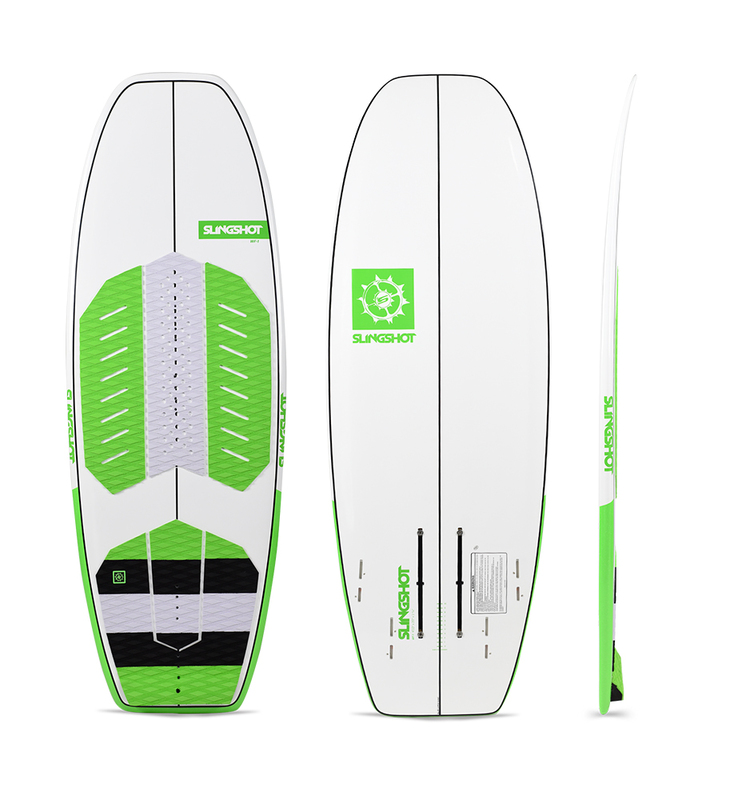 The Slingshot Wakefoiler Package includes everything you need to get started: A short (15”) mast for learning and a longer (24”) mast for advanced flying. The Wakefoiler also incorporates a 12” track system that enables you to control the amount of lift created from the front wing. This feature lets you enjoy the gift of flight at slower boat speeds in a safe & progressive manner. Foil with 15” mast= 9.8 lbs. Board Length = 4' 10"